Special Open Jam “Descarga-Recarga” with guest jazz musicians and good stuff for eat and drink. 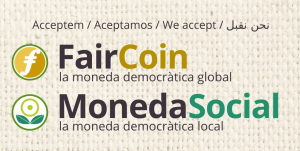 Sunday 27th January: The whole day! Total Party! firt year here! 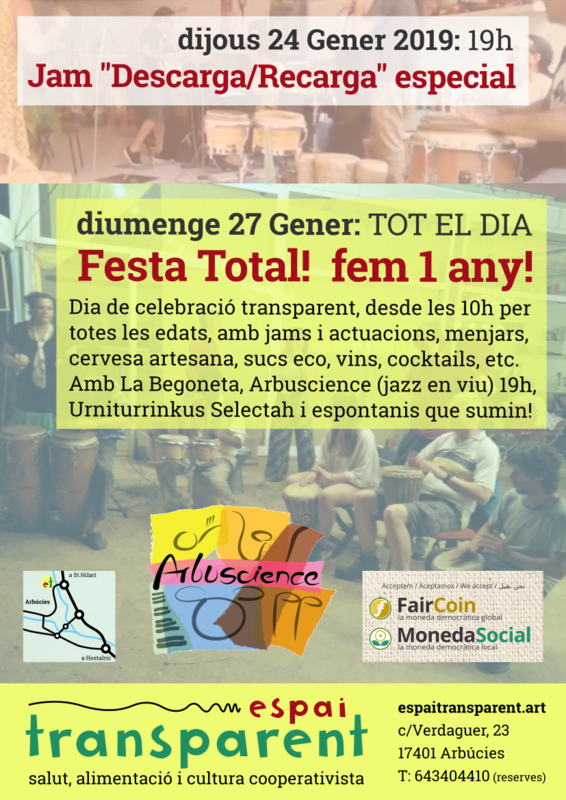 Transparent celebration day, from 10h with jam sessions and shows, foods, artisan beer, eco juices, wines, etc. With La Begoneta working, concert by Arbuscience (live jazz) at 19h, Urniturrinkus Selectah and the spontaneous that want to sum-up!